Finally it is here, the Converse Weapon is up and waiting for you at ConverseOne. 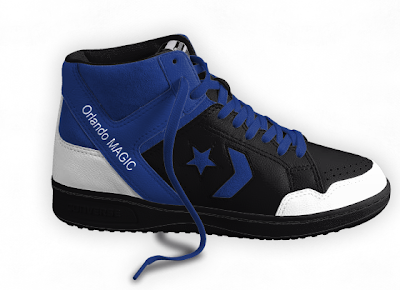 I say finally because it was first previewed way back when the Pro Leather was put up at ConverseOne. 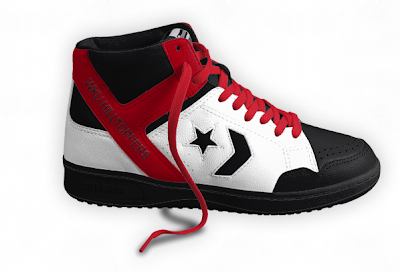 By the way you can't find the Pro Leather's on ConverseOne anymore, I hope they aren't gone for good because they were great. But that's another rant for another day. Today is all about the Weapon, which currently is only available in the Hi version. 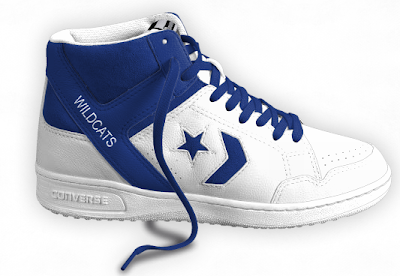 I've got a pair coming my way, but I thought I'd go ahead and post some of the designs I came up with. 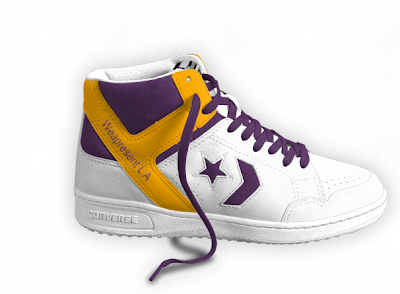 The available colors are limited, especially apart from the ankle, Y bar, and laces. What the Weapon lacks in color options it makes up for that in the personal ID section. For the Weapons you get a whopping 15 characters for you to personalize. Here are some that I designed with the finals in mind and some of my favorite colleges. Now you can Choose your own Weapon! Thanks for checking out the blog! Remember to vote we're in the last day of the current poll!